On March 8th, 2013, in conjunction of “3•5” Learning from Leifeng Day, the 301 P.L.A. 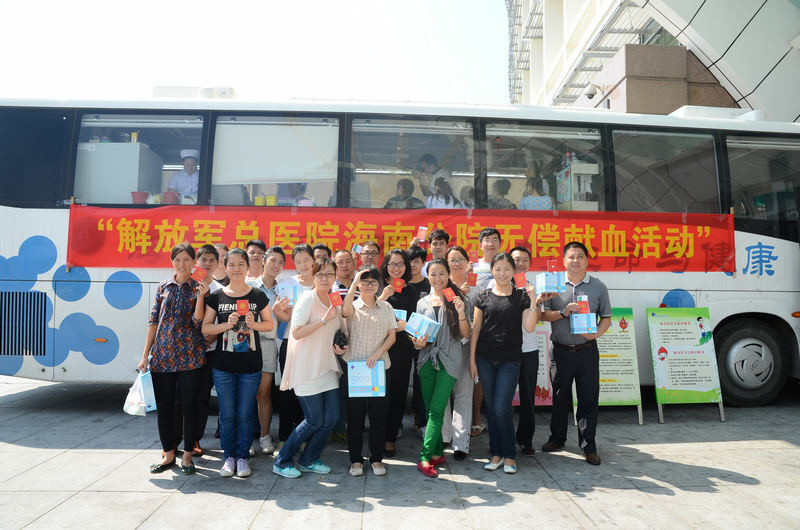 General Hospital Hainan Branch had organized the “Love Make a Better Life” Voluntary Blood Donation campaign. Haitang Bay Gloria Sanya’s management and staff had taken this opportunity to participate for this campaign. One of the hotel’s blood donation volunteers said: blood donation is not only benefits the donator but most importantly is this little gesture could help many others in needs due to emergency situation. A little gesture from every one can made a big different in creating a harmony society full with love and care. Haitang Bay Gloria Sanya will continuously support the welfare campaigns and spread the positive energy and believing in care for the others for a better tomorrow.